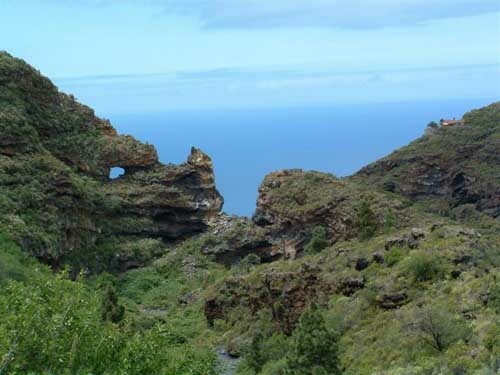 Discover the El Jurado Ravine Natural Monument in Tijarafe, La Palma. 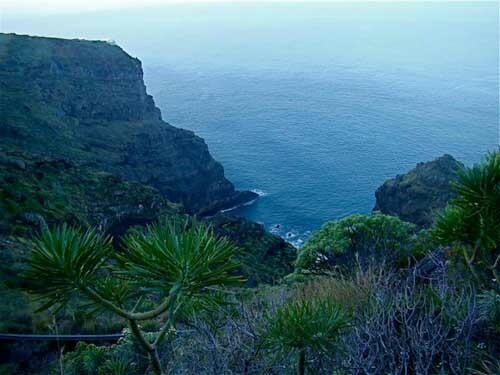 The El Jurado Ravine Natural Monument is located in the municipality of Tijarafe, on the northwest of La Palma, in the Canary Islands. The ravine has many juras (stone bridges), some of which you might spot from the road that cuts the ravine. Both the juras and the own ravine have a notable landscape interest. In the El Jurado Ravine many vegetable species cohabit, as the pines trees and, on the upper regions, you might see halophilic plants. You might get through the GR-130 trail, also known as Camino Real de La Costa, which cuts the ravine perpendicularly. We should highlight that on the top of the El Jurado Ravine you might find the Jique Cauldron one of the most beautiful spots of the island of La Palma.